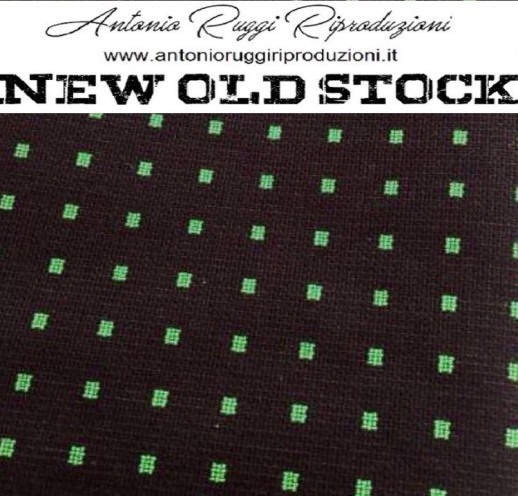 The Antonio Ruggi Riproduzioni products are passionately reproduced upholstery fabrics manufactured in Italy or carefully obtained and selected New Old Stock (NOS) official Alfa fabrics. The product range is continuously under development and may be elaborated with additional products in the future. We hope the product range contains items of your interest. The products are grouped per vehicle type and listed in chronological order of the release of the vehicles. Some of the items are NOS (New Old Stock), if so it is clearly stated as such. The prices listed on this page are kept as up to date as possible however material prices fluctuate significantly therefore the prices stated on this page may be outdated in some cases. Please request a quote for the product of your interest to ensure you have the latest pricing. Picture courtesy unknown - Price per meter: 95,- €. - Width 1,49 meter, length upon your request, minimum order quantity 1 meter, for orders exceeding 10 meter a discount rate is possible. - Used cloth: NOS cloth, therefore Alfa originally chosen cloth, no reproduction. - Comment: This fabric is for the front & rear seats. - Price per meter: 120,- €. - Width 1,4 meter, length upon your request, minimum order quantity 1 meter, for orders exceeding 10 meter a discount rate is possible. - Used cloth: Woven Jaquard using cotton with polyester additives. 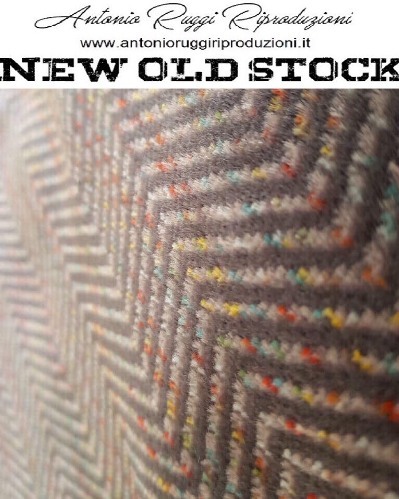 - Comment: This fabric is for the centre section of the front & rear seats. - Width 1,5 meter, length upon your request, minimum order quantity 1 meter, for orders exceeding 10 meter a discount rate is possible. 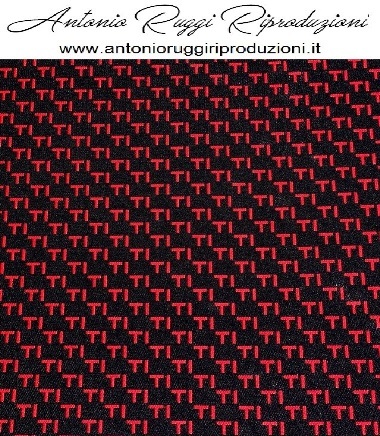 - Comment: This fabric is for the centre section with the red coloured TI logo's incorporated, the fabric for the side sections and the rest of the seats is also available and listed below with reference number ◄ BATIS ►. - Price per meter: TBD,- €. - Price per meter: 130,- €. - Comment: This fabric is for the seats and can be used for the door cards as well. 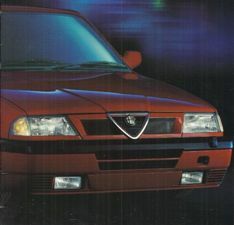 Picture courtesy of Alfa Romeo - Price per meter: 130,- €. - Comment: This fabric is for the centre section of the seats and the door cards with the green coloured squares incorporated, the fabric for the side sections and the rest of the seats is also available and listed below with reference number ◄ BATIS ►. Picture courtesy of Alfa Romeo - Price per meter: 120,- €. - Comment: This fabric is for the centre section of the seats with the grey coloured squares incorporated, the fabric for the side sections and the rest of the seats is also available and listed below with reference number ◄ BATIS ►. 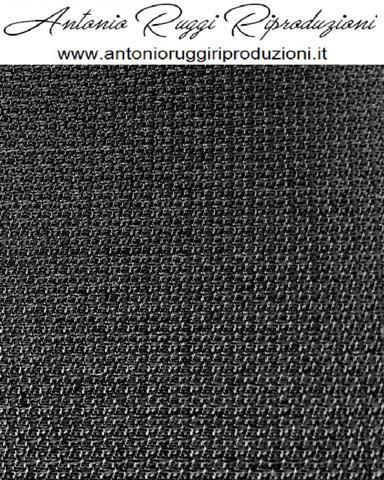 This fabric can be used for the Alfa 75 Turbo as well, although there are tiny differences, the fabric is representing the Sprint 1.77 QV which corresponds closely to the Alfa 75 Turbo fabric. - Price per meter: 100,- €. - Used cloth: Woven fabric. - Comment: This fabric is for the side sections and the rest of the seats. - Comment: This fabric is for the lateral sides. - Width TBD meter, length upon your request, minimum order quantity 1 meter, for orders exceeding 10 meter a discount rate is possible. - Comment: The distance between the stripes is 14mm. - Price per meter: 135,- €. - Comment: This is NOS (New Old Stock), no reproduction. Picture courtesy of Alfa Romeo - Price per seat: 160,- €. - Width 0,37 meter, length 1,4 meter (1 seat). - Comment: This fabric is for the seats. - Price per meter: 150,- €. - Width 1,4 meter, length upon your request, minimum order quantity 1 meter.